The Genetics, Genomics, and Bioinformatics Track will provide guidance and structure to students with a desire to specialize in the study of inheritance and will formally recognize their chosen area of specialization in the description of their degree. The selected course offerings span the spectrum of studies within the area of inheritance, allowing students to select broadly from courses that provide sophisticated insight into genetic information and genetic analysis. The selected courses also allow students to dive deeply into different realms of genetics, including: emphasis on microbes (BIO 308, 309 and 510); emphasis on animals (BIO 404, 405, 429, 527); emphasis on analytical technology (BIO 337, 404, 461, 510, 520, STA 579, STA 580, ABT 460); emphasis on development (BIO 404, 405, 429, 445, 527, PGY 417); and emphasis on evolution (BIO 461, 508, 518). Students selecting this track will be able to demonstrate a clear understanding of the most important and fundamental theories and ideas in contemporary biology from a perspective that emphasizes inheritance, organization, and analysis of genetic information. 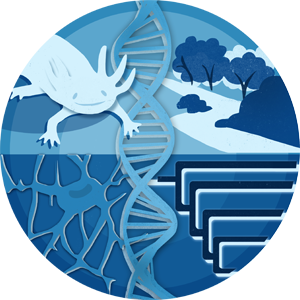 *For questions regarding the Genetics, Genomics, and Bioinformatics Track, please email biology@uky.edu.